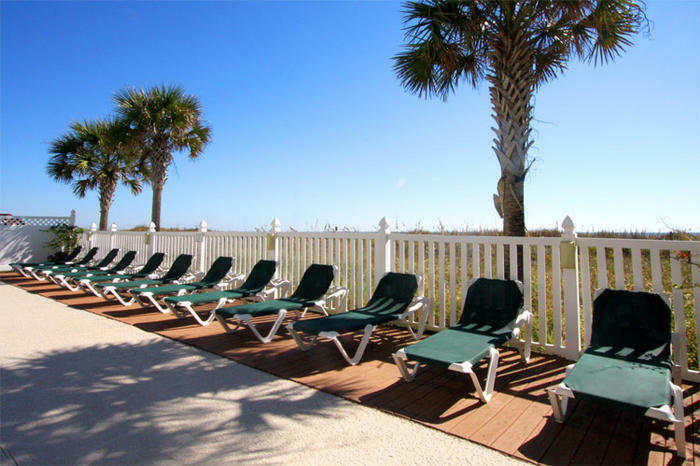 This retreat is a North Myrtle Beach resort that boasts peace and quiet for your beach vacation. This oceanfront resort is in the beautiful Windy Hill section of North Myrtle Beach, South Carolina. It is a nine-story North Myrtle Beach resort on stilts that overlooks the dune line that is filled with sea oats and the Atlantic Ocean that is greeted by a white sandy beach. Beach Club I is at the end of 36th Avenue South. From Highway 17 in North Myrtle Beach, SC turn towards the ocean onto 36th Avenue South and Beach Club I will appear before you. The beautiful beaches are right outside of this North Myrtle Beach resort so you can kick off your shoes and race to the water’s edge with ease when your North Myrtle Beach vacation is at Beach Club I in North Myrtle Beach, South Carolina. Choose from a large three- or four-bedroom North Myrtle Beach condo rental at Beach Club I. These condos in North Myrtle Beach, SC sleep from eight to 11 people in oceanfront accommodations. Each of these North Myrtle Beach vacation rentals has a sleeper sofa in the living room in addition to the three or four private bedrooms. Similarities among all of these North Myrtle Beach rentals include a nicely furnished kitchen with full-size appliances. Take advantage of the dishwasher in these North Myrtle Beach condo rentals. All of the units in this North Myrtle Beach resort also feature a washing machine and clothes dryer for your convenience. Play hard. Get dirty. Then do laundry in the privacy of your North Myrtle Beach vacation rental at Beach Club I. Some of these condos in North Myrtle Beach, SC have a soothing Jacuzzi tub so you can take a leisurely soak before going to dinner or to see a show at a nearby live entertainment theatre. These North Myrtle Beach vacation rentals are furnished with more than one television and at least one DVD player. Rent a movie or bring your favorite films to this North Myrtle Beach resort and get some rest one night of your North Myrtle Beach vacation by staying in, making popcorn and watching a movie. Internet access is also available to guests of these North Myrtle Beach condominiums.